Macaron House is committed to using only the highest quality natural and organic ingredients to create macarons. 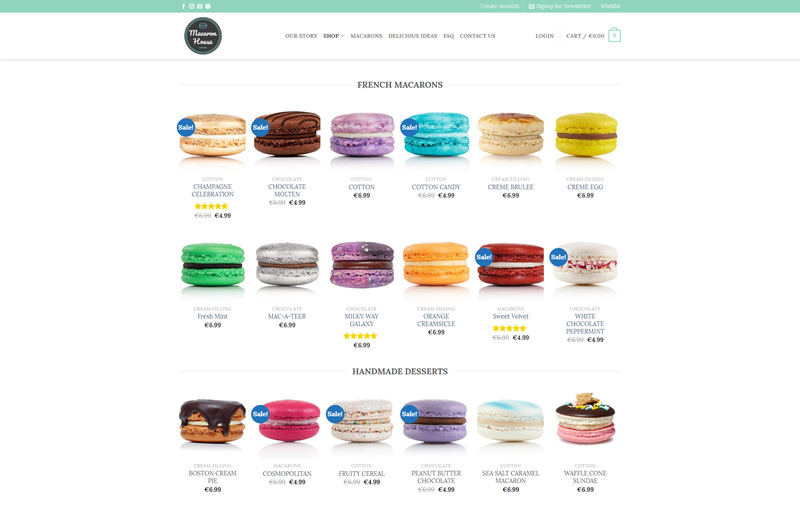 Our mission was to create a digital experience that would showcase their awesome products so that people from 3 different countries could savor their macarons. The product page enables users to find out all the improtant details about the product. 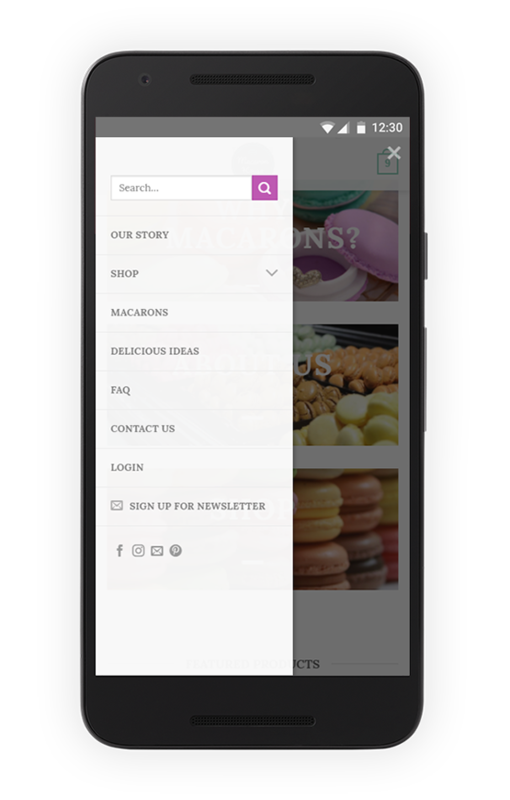 It includes the Zoom functionality, Related Products section, Social Sharing options, Reviews tab, Categories, and more. Woocommerce integration allows users order and pay by using various payment options. It enables the shop managers to organise orders, follow-up, receive and send notifications. Fully responsive design was a vital requirement. Our experienced developers designed the store keeping in mind this critical factor. 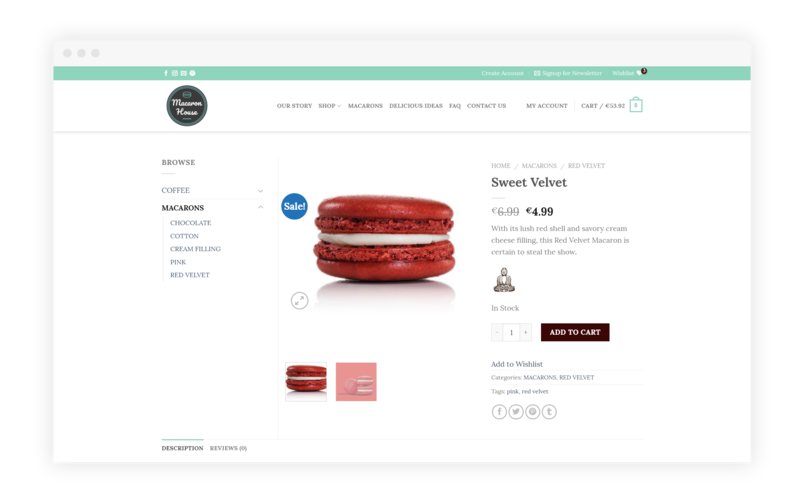 Our goal was to offer a "sweet" experience to shop online. 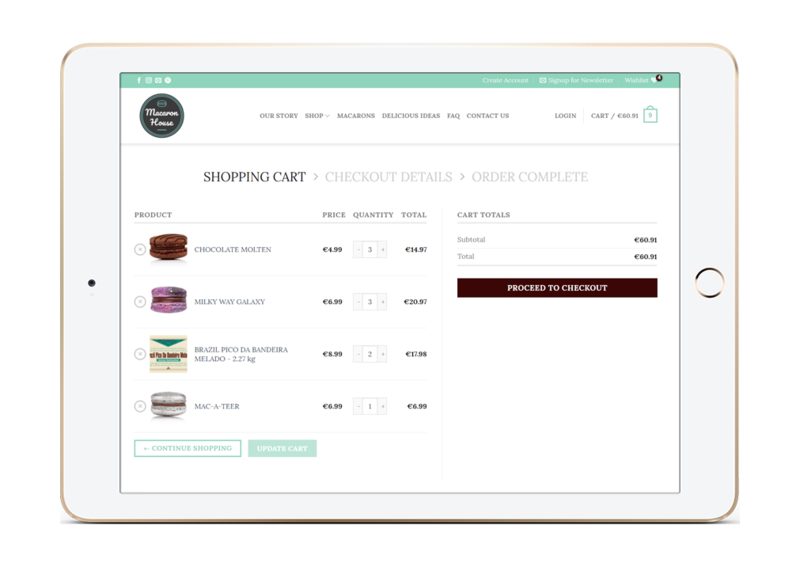 Blog, wishlist, account management, featured products, mailchimp integration are features integrated on the shop. Macaron House goal is not just to sell, but to educate, teach and contribute to society's well being. Antares Code Studio very much improved the effectiveness of our business. They offered us the perfect solution to increase sales and profitability.